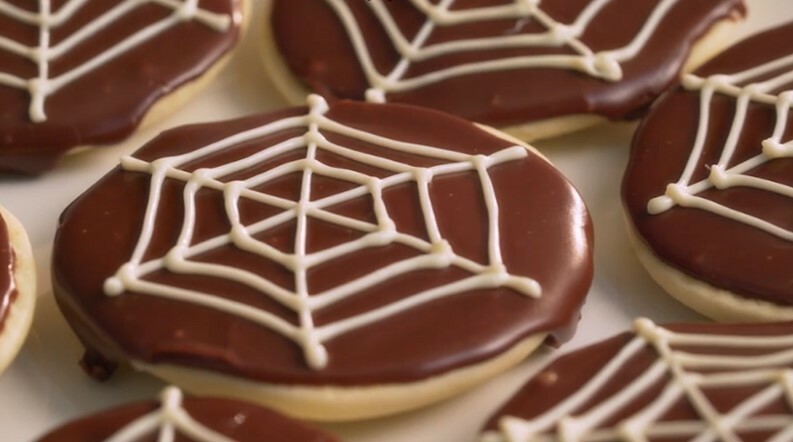 How about making these spider web biscuits for Halloween? We have all the ingredients. Melt the chocolate in the microwave or in a glass bowl over water on the hob. Make sure the chocolate does not over-heat. Allow the chocolate to stand for a few minutes. Using a spoon spread an even amount of the cooled melted chocolate onto each biscuit. Allow the chocolate to solidify for a few minutes. Using the icing pens draw on a spider web shape.